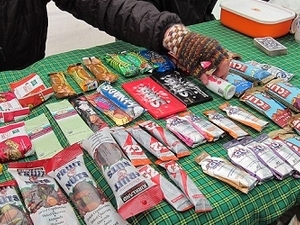 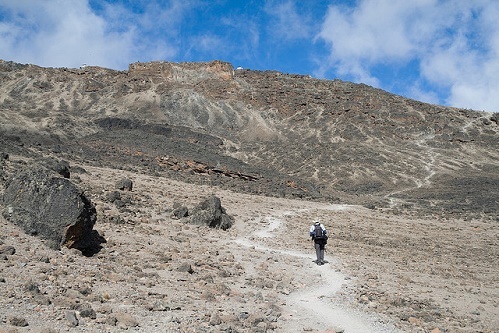 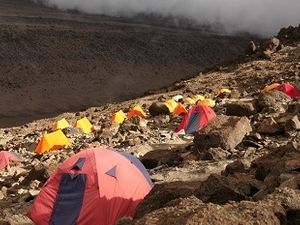 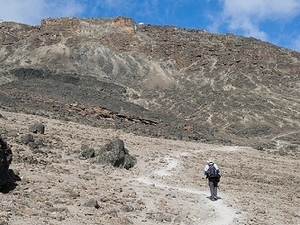 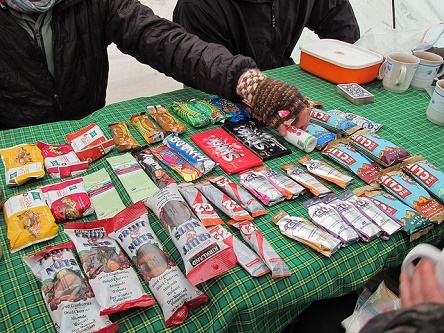 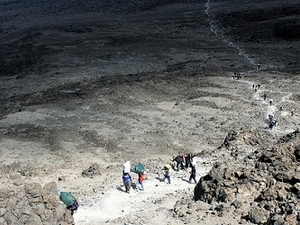 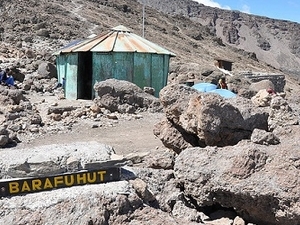 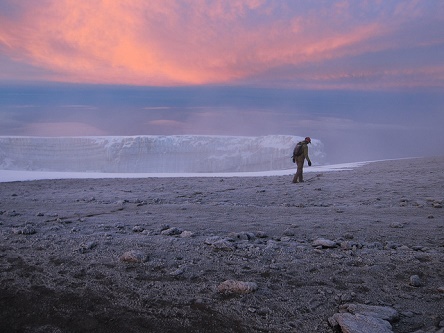 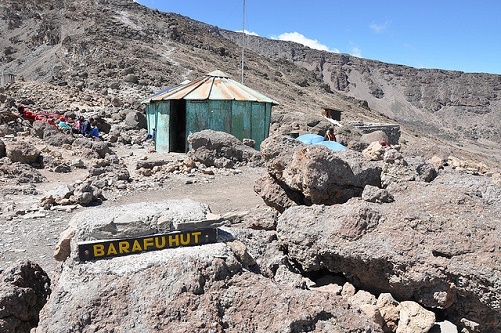 Offering an alpine desert landscape Barafu Camp at 15,500 feet above mean sea level is located along the Machame route topping out just below the Heim Glacier. 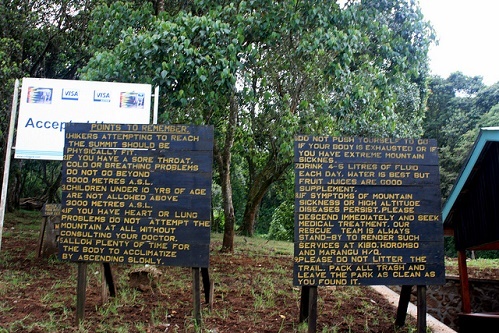 Presenting wonderful looks of Mt. 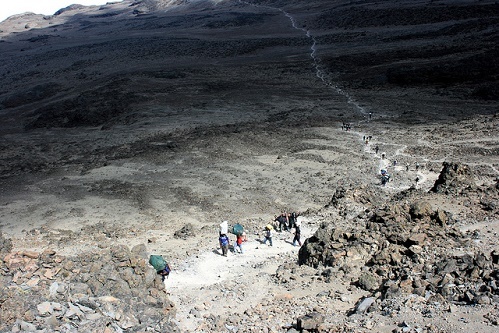 Kilimanjaro from here, the route further heads through intervening ridges into Karanga valley. 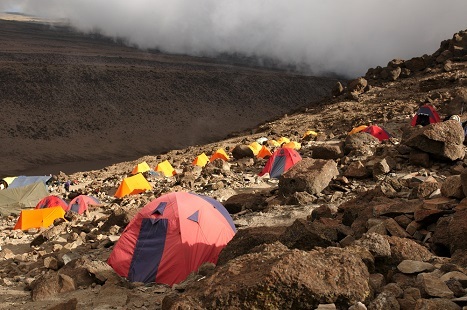 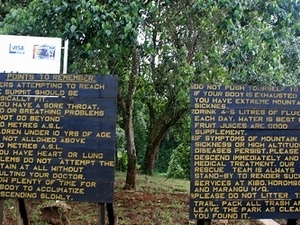 There is no water available at Barafu Camp & the tents are pitched on a narrow but stony & dangerous ridge. 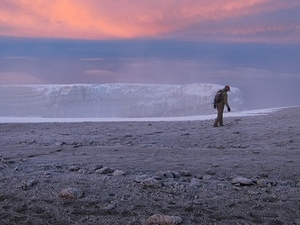 So, better get familiar with the landscape while there is light to avoid any accidents in the night. 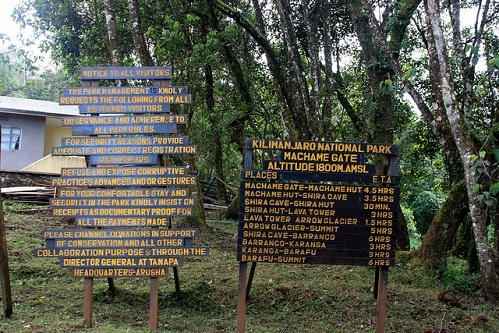 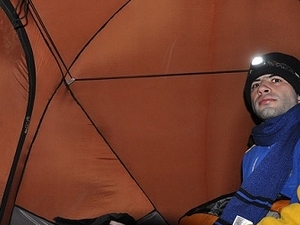 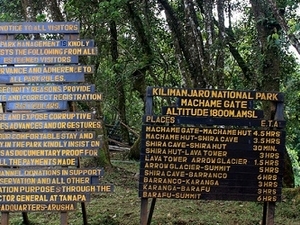 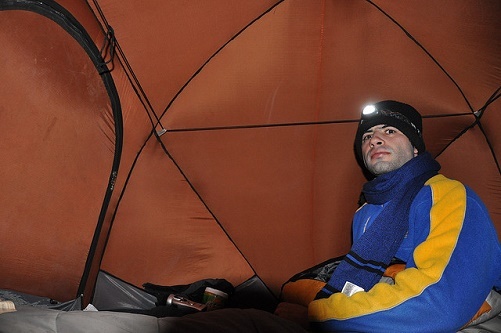 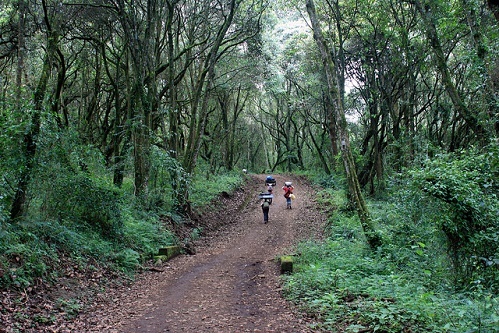 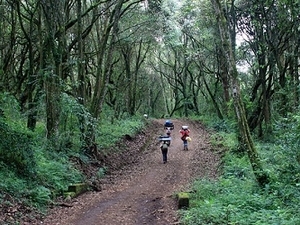 Category:Campgrounds in Kilimanjaro National ParkHelpful Links:Kilimanjaro National Park Overview References: 458727, 2593676 Claim:If you are the owner of this property claim it?